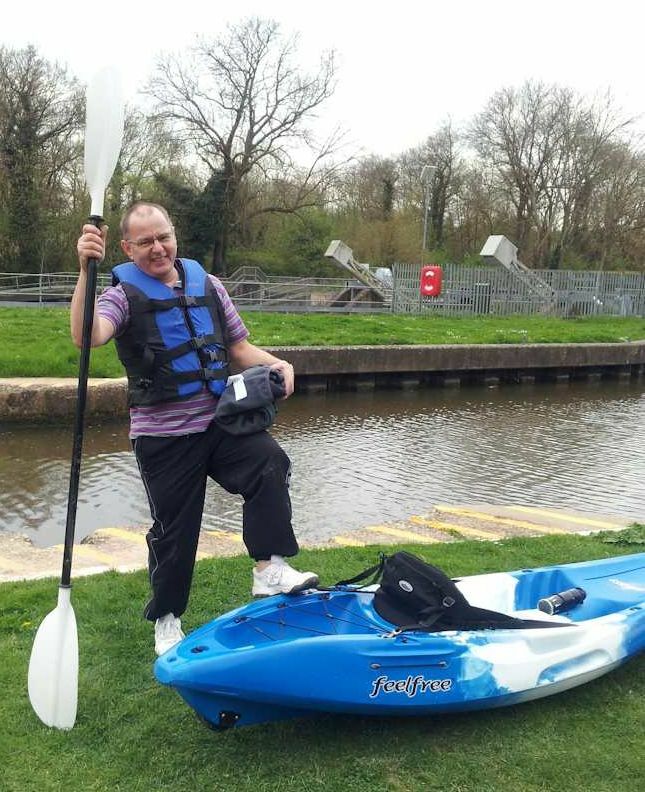 We have just completed our first training session by kayaking from Yalding up towards Tonbridge, although I couldn’t make it into town. My upper arms are killing me and it has made me realise how much training I need to succeed in this challenge. We have now decided that the trip is to be from Tonbridge to Upnor, a total of about 30 miles. Mark has agreed to buy me a plate of fish and chips when we get to Upnor but I said that he may need to feed me as I may not be able to lift a fork to my mouth after a day on the river! With regard to showing your support by making a donation, we are now in the process of setting up an account on the website Just Giving and will soon be able to tell you how to make a contribution. Of course, if you would rather do it in a more traditional manner, that is fine. A cheque made out to St Peter & St Paul, Shorne with a covering note saying what the money is for will still find its way into the right pot. The account at the High Five Club will be up and running early in May.